The above pressure ratings are for fluid and ambient temperature of 30 Deg. C.
The burst pressure is 4 times the maximum working pressure. 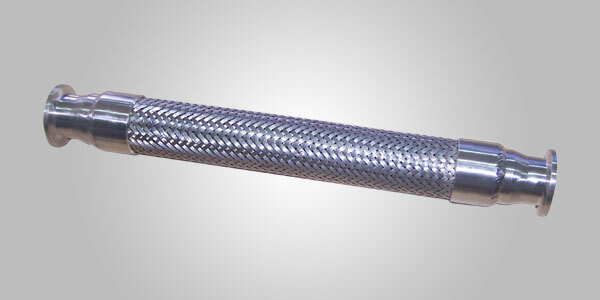 We also supply hoses with lesser bend radius/higher pressure rating on request. 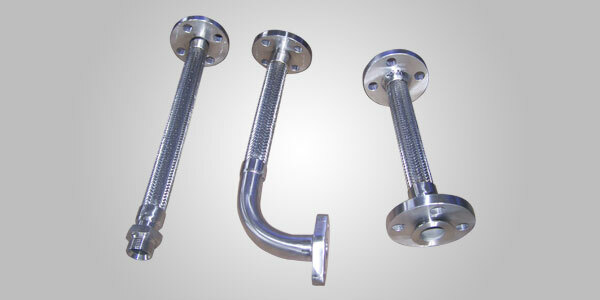 Stainless Steel Hose Assemblies are basically hose pipes and their assemblies which are made up of stainless steel. The metal body serves many purposes in industrial usage which rubber or other material used for hose pipes could not solve. It has properties like flexibility, its resistance to high pressure, its high tensile strength and high tear strength which comes through its flexible property. 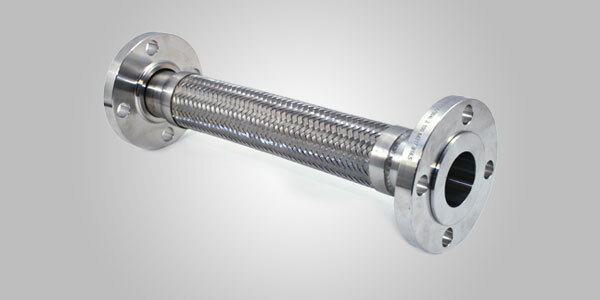 Along with ability to bear high pressures the main characteristic for which a stainless steel hose assembly is popular for is its corrosion resistance and ability to bear extreme temperatures which can transport very high and low temperature liquid or gas with ease. 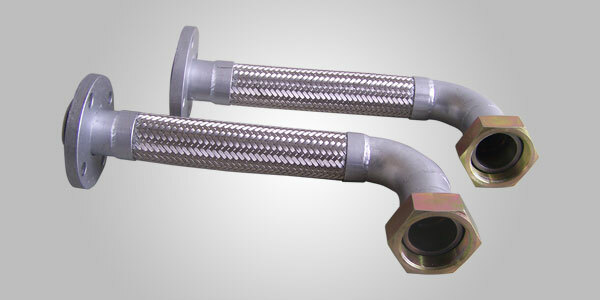 We at Flexotech products are engaged in manufacturing stainless steel hose assemblies from a long time and our assemblies are widely known for their qualities like high tensile strength, their tear strength, high temperature resistance, corrosion resistance, durability, and long working hours as we lay strong emphasis on the quality control of our production and follow a zero tolerance policy. All hoses are pneumatically tested. Hydraulic tests are conducted on samples picked at random-grade wise, batch wise. 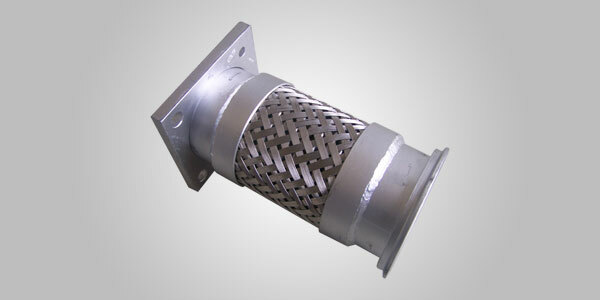 Test certificates for the material and hose are furnished upon request. TEMPERATURE RANGE: upto 300 Deg. 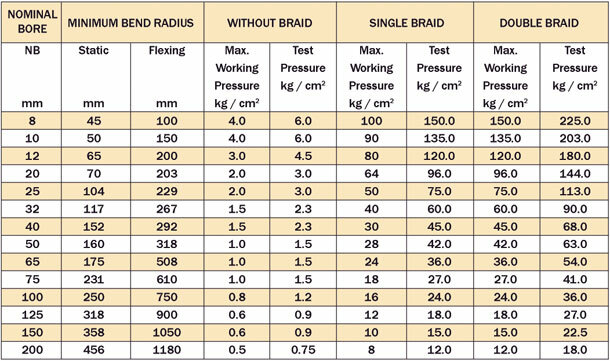 C.
Braiding Material : SS 304.